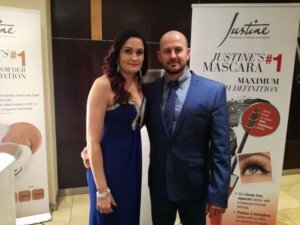 Please take note this is not Justine Head Office, we created this website to give you, our visitor more information on Justine and on how to use these products. My husband and I are independent Justine Business Leaders. We work as a team and are here to assist you should you wish to become a Justine Consultant, buy from a consultant or our online shop, or simply just need some information on Justine’s wonderful products. We have also added some Avon product combo’s at our Online Shop. To order additional Avon products not listed in the online shop please find the brochure link below. Send us an email to admin@justskinproducts.co.za with your item codes and description for a quote.